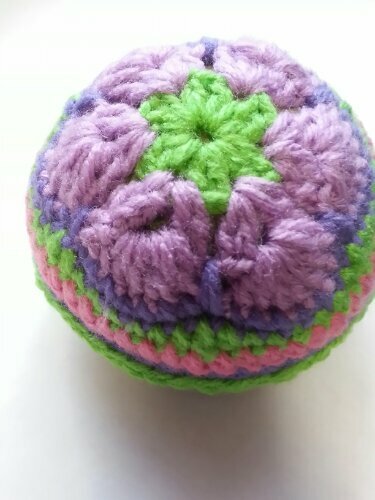 I had the spring bug to crochet something colorful… It has been blowing snow here the last couple days and although it is spring,,, It sure hasn’t felt like it! 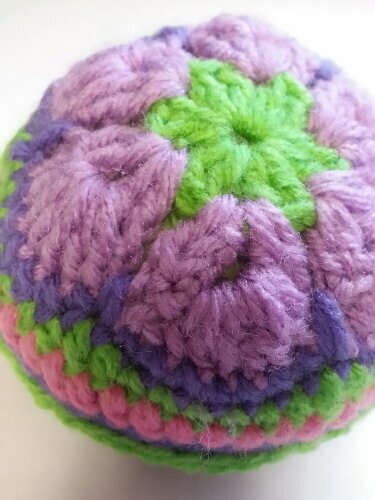 So,,, An African Flower something was my thought… A Potholder, Pincushion,, or …. A Paperweight! Yes, a paperweight will be great… I have a collection of Mt. Shasta River Rocks I collected up above the lake last summer to crochet doily style paperweights… So with hook in hand once again, the experiment began! I think they turned out so cute! I will have to make more and at least one for my desk at work where the papers get blown every time they guys crack a window… Of course,,, this one is for Alpine Originals and will be up for sale later today! 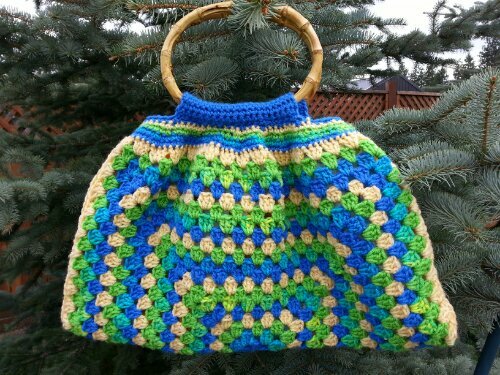 And a little fun news… I received the most clicks on Busting Stitches Link Party last week for my Hobo Granny Bag. If I don’t have a hook in my hand and yarn trailing across the chair,,, something is definitely wrong! The calming sense of the soft fiber and beautiful colors bring joy to my evenings and weekends… Counting stitches, rows and inches almost seems to ease the worlds worries away! 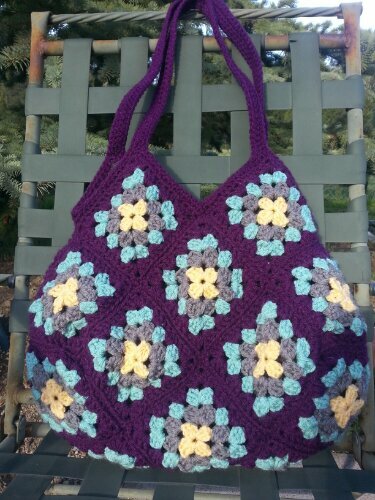 Last night I finished up this beautiful Hobo Granny Bag! 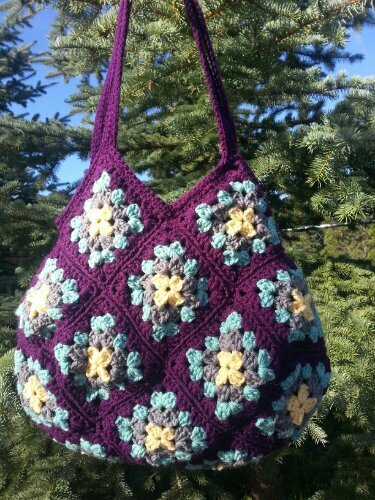 22 Granny Squares joined into this Hobo Style Bag… Maze, Gray, Aqua and Plum yarn make this bag work for any season… Once it was done, I tried it on for size… I so wanted to keep it! But like you know if you hang out here very much,,, almost everything is given away to a loved one or sold at Alpine Originals…This lovely bag will be delivered later today for some lucky bag collector to purchase! I have 3 current project going… Maybe more if I look around… 1. Camo Baby Granny Blanket… 2. 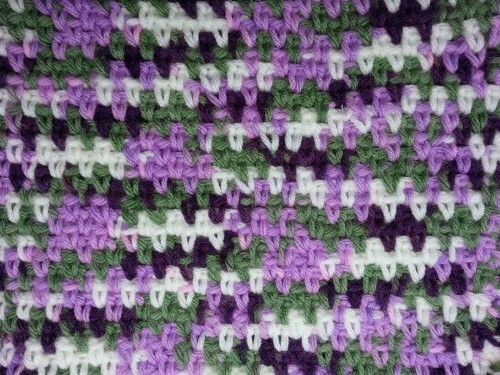 Spring Colors Granny Blanket (size undetermined)… 3. 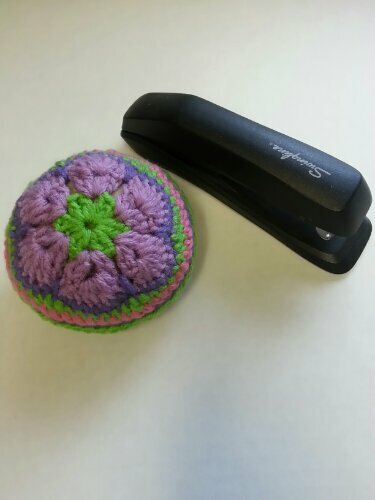 Mini Granny Purse… Always something in the works… The Spring Granny is what I am loving and will finish next! Pictures to be posted soon!! I am also working on my next Free Pattern,,, So stay tuned! So here is to Granny, Bags and Projects!.